Zoids model kits are mechanical dinosaur or feral animal themed hobby model kits manufactured by Takara Tomy. These kits are made to be assembled by hand and have movable parts. Some Zoid model are static and the parts can be moved manually while more complicated models are battery operated or have clockwork mechanisms. Their range of motion usually includes walking, flapping wings, mechanical growling and more. Each models have their own characteristics which are unmistakable and alluring. Zoids model kits have garnered quite a following and some say is second only to Gundam when it comes to model kits. 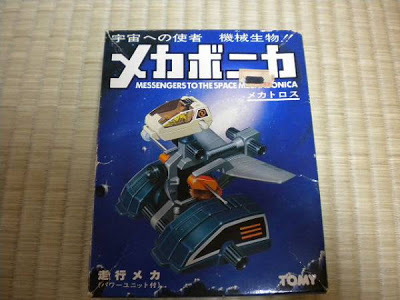 Takara Tomy started producing Zoids models in 1982 under the name "Mechabonica". However, the first runs didn't do well. A year later the company decided to give it another try, this time changing the line's name to "Zoids". The second launched proved to be quite a success domestically in Japan. In 1984, Tomy decided to introduce Zoids to the European market and was also successful there. Emboldened, Tomy decided to tackle the USA market but decided to use the name "Robostrux" instead. Tomy was able to reap profit for a while in the three markets but had to eventually stop the initial run due declining interest and stagnating sales. This period later became known among enthusiasts as the OJR (Original Japanese Launch) era. Soon after, around 1999, Tomy re-launched their Zoids models and saw their most success commercially even to this day. Models of this era became known as the NJR (New Japanese Release) and are still highly sought after. This particular phase lasted until around 2004. This is also the last time Zoids models were launched without any much back story. From 2005 onward, Zoids models are launched alongside dedicated anime series. New notable Zoids lines are "Zoid Fuzors", "Zoid Genesis" and lastly "New Blox Zoids". Please note that OJR and NJR are fan-named phases and not official therefore inconsistencies abound regarding the time frame of each phase, what the acronyms actually stands for, and how different models are grouped into each phases. Other notable phases in the history of Zoids includes "Original American Release" and "Original European Release" which reflects the timeframe that Zoids were first introduced into each regions. In terms of backstory, Zoids are fictitious mechanical life forms which resides on the planet Zi. The living mechanical nature of these robotic animals is made possible from the techno-organic "core" within each Zoids. It is this "Core" (also known as the Zoid Core) which gives each Zoid its heart and mind. In same anime series, pilotless Zoids roams freely on Zi and feeds on metallic foliage. In other backstory, Zoids are always paired with pilots. To date, Zoids are featured in 5 anime series, many video games as well as other materials such as Mangas. Over the years there have been many Zoids model lines both domestically in Japan and on the international market. All told, there have been over 200 different Zoids designs (with some designs getting several releases). These lines have been launched as many different format throughout the years including die-cast figures, high-detail posing kits, small action figures, and even PVC figurines. There are even some Zoids line that are not made by Takara Tomy. Mechabonica is regarded as the predecessor to Zoids. It was released in 1982 and served as Tomy's first foray into the international market. The line wasn't very successful and only three of the models made into the later Zoid lines which were the Garius, Elephantus, and Glidoler. All these models have clockwork mechanism they are sometimes regarded as one of the first commercial-scale model kits with clockwork-powered moving parts. 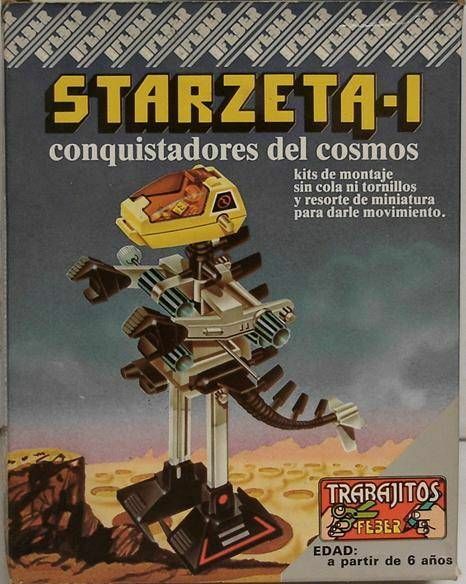 Starzeta is essentially the Spanish version of Mechabonica and was Tomy's attempt to enter into the country. Having no official foothold of their own, Tomy sold their Starzeta line through a corporation known as "Feber". Regrettably, the line didn't do to well. 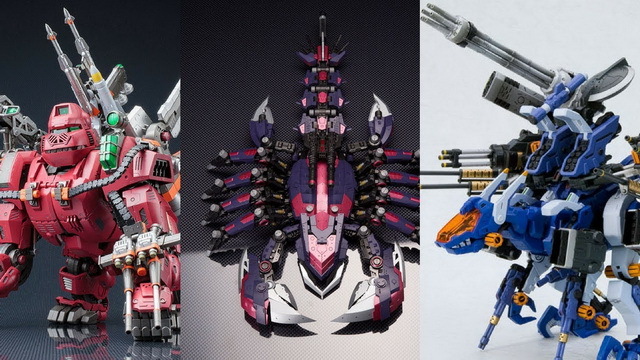 The Garius, Elephantus, and Glidoler from the Mechabonica line was included in the Starzeta line albeit with a different color scheme. Today, remnant of the Starzeta line is a rarity. The Original American Release (OAR) line of Zoids represents Tomy's first venture into the US market. These Zoids are much simpler than what most people are used to and looks more comical. There are five models altogether in this line. These Zoids are quite small and move by clockwork. These Zoids proved to be quite a success and is the line that introduced many people in the west to the world of Zoids. At around the same time, Radio Shack also sold another Zoid line called the Titanic Zoids which some collectors count them as part of the Original American Release line while others do not. After the success of selling Zoids in the USA market, Tomy decided it was time to try selling in Japan and relaunched the their Zoids line domestically. This line also marks a first time that a narrative was woven in into the model line in the form of blurb on the back of each model box and some catalogs. The story revolves around the conflict between the Helic Republic and the Zenabas Empire (which later changed its name to Guylos Empire). The color scheme of this Zoids line is blue and gray and reminiscent of many other model lines of the era and the material used was ABS. From 1984 to 1987 Zoids were also introduced to the European market. Most of these Zoids were essentially slightly modified versions of the Original Japanese Release with some changes being so minor that they were merely color changes. A few model from the Original American Release was featured in this Zoids line as well (also with minor modifications). In this Zoids line, the models were clearly divided into two factions where were the Blue Zoids and the Pink Mutants. The Robostrux line was released in the USA and Canada by TOMY between 1985 and 1986. They are essentially Zoids from the OJR line with color scheme changes. The back story of this line involves two faction of different colors: the Blue Guardians and the Crimson Mutants. In 1988, Scale Zoids were introduced by TOMY and they were larger than all the Zoids that were launched before. These models came in 1:24 scale. Models in this line comes with a 3 inch pilot which makes it easier to see the size of these model in relation to a human. Many of the models of this line uses a battery-powered motor. The story line of this Zoid line consists of two factions where were the Helic and Zenebas. This particular launch ran for 12 months. In 1990, TOMY relaunched several of the models from the aforementioned Scale Zoids line under the name "Zevle". Like before, models in this line came with a 3 inch pilot but this time also includes several other team member as well. The Zevle was never able to achieve commercial success. In 1995 and 1996, Kenner acquired the rights to Zoids in the USA and they launched the Technozoids line during that time. This line is one of the few of the later Zoids line that launched with absolutely no backstory. The Zoids 2 line was released around 1994 in South East Asia and Australia. The Zoids in this line featured vibrant color scheme and every model included at least one chrome component. Zoids in this line also ships with unique sticker designs. Zoids 2 did not have their own backstory but were based loosely on the UK Zoids comic. So there you have it. Zoids model kits have really cemented its self as one of the premier toy line to come out of Japan. Some even says it comes seconds only to Gundams. If you are looking for a new model line to try your hands on, Zoids could be a good option!